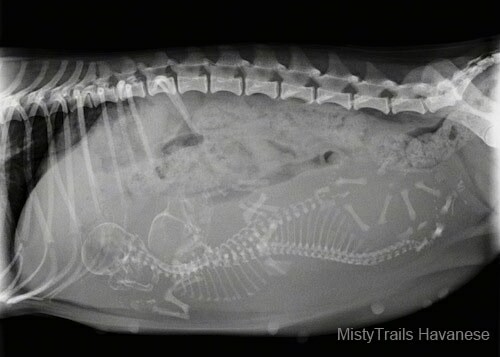 The following are various x-rays of pregnant dams about to whelp. 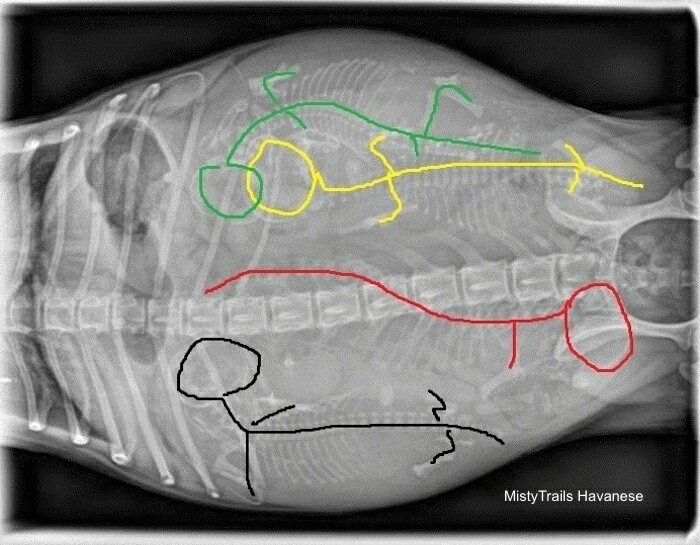 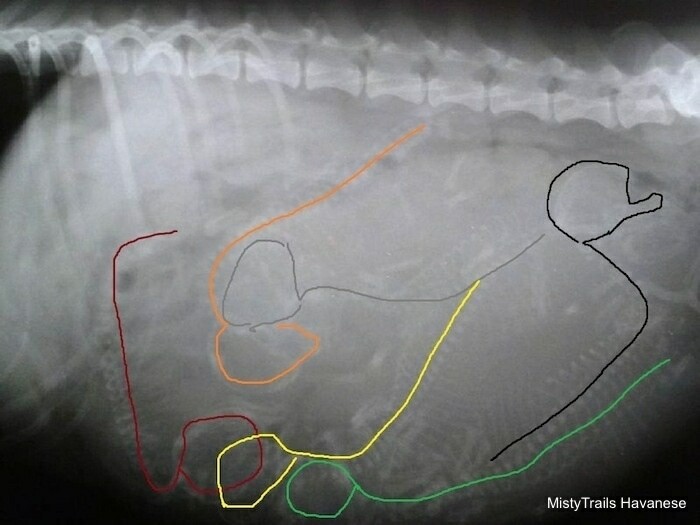 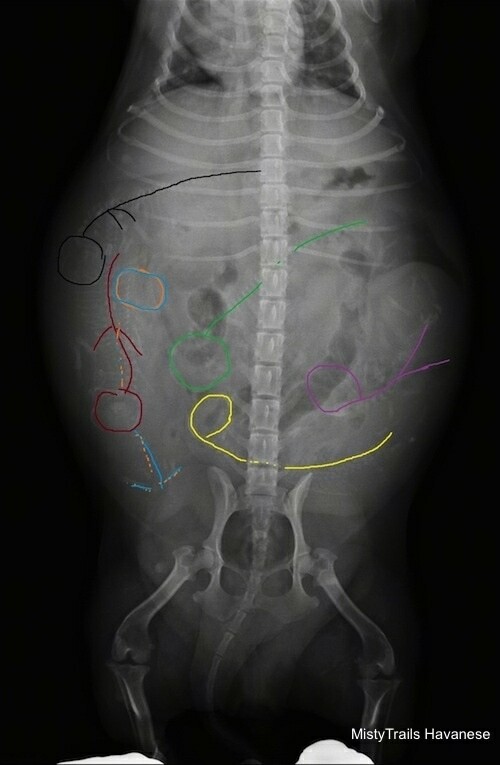 Some are outlined with the pups positions to help you better understand how to spot the puppies. 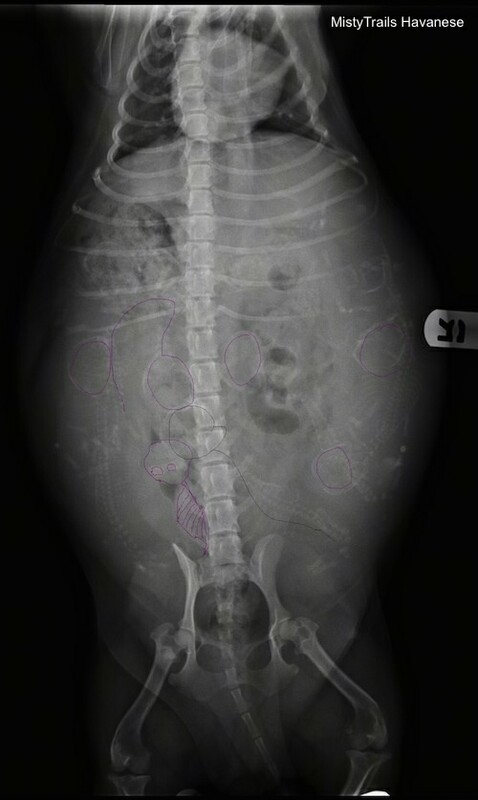 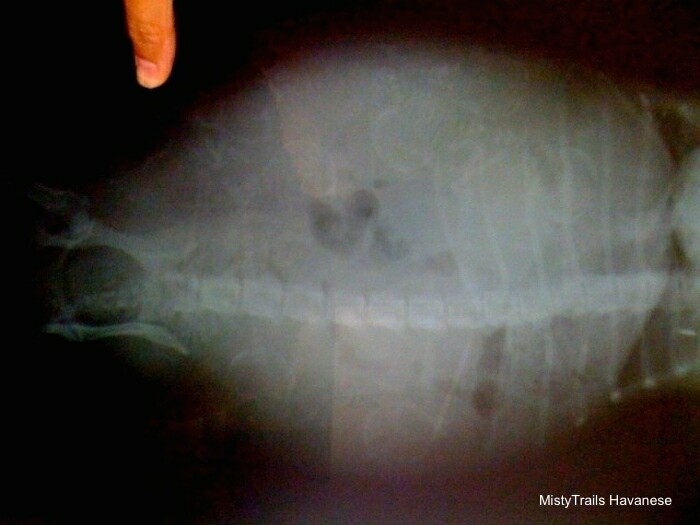 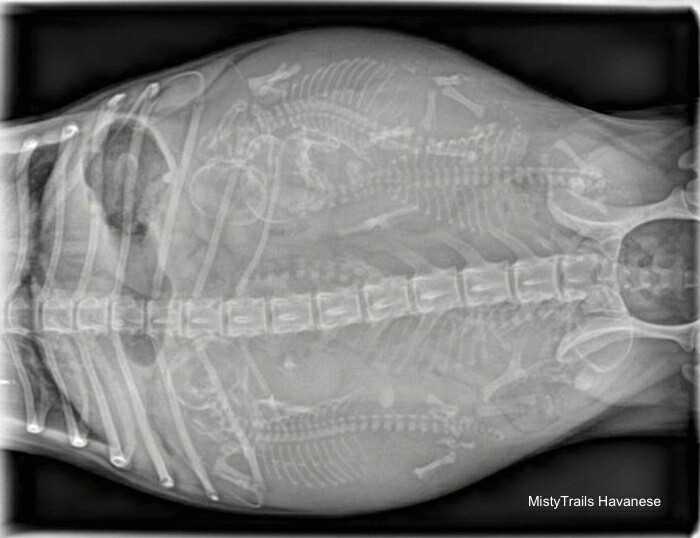 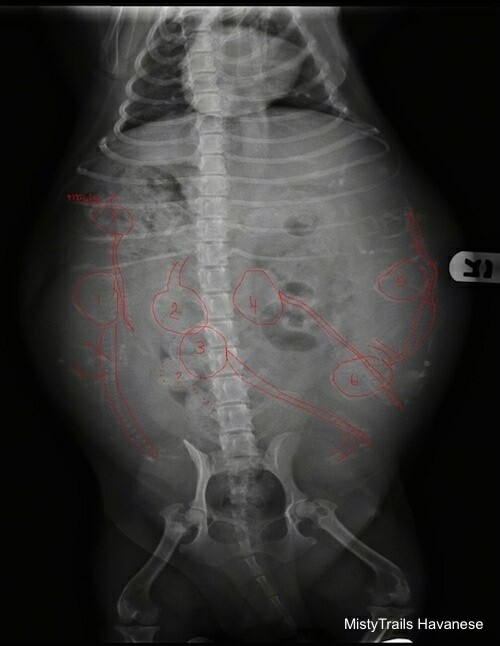 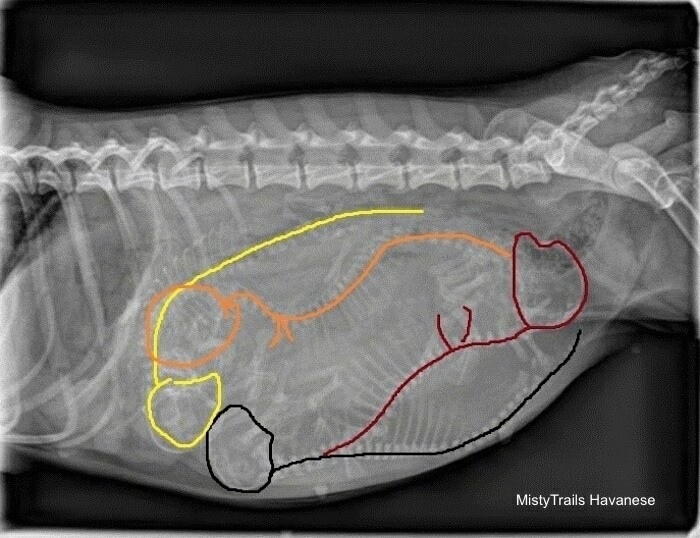 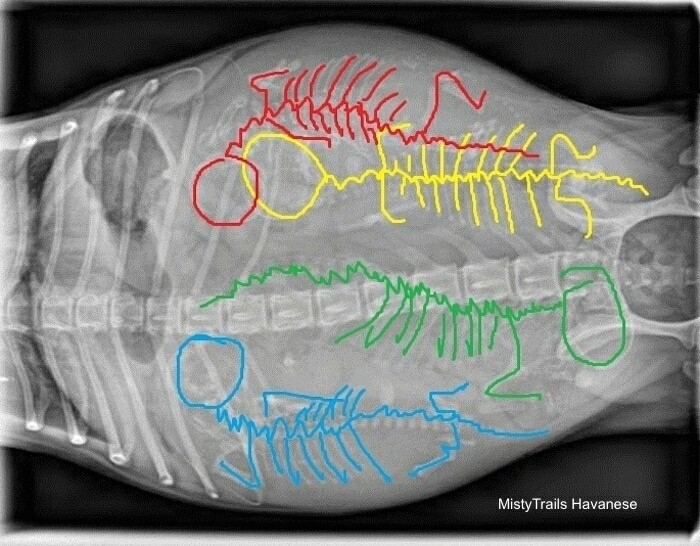 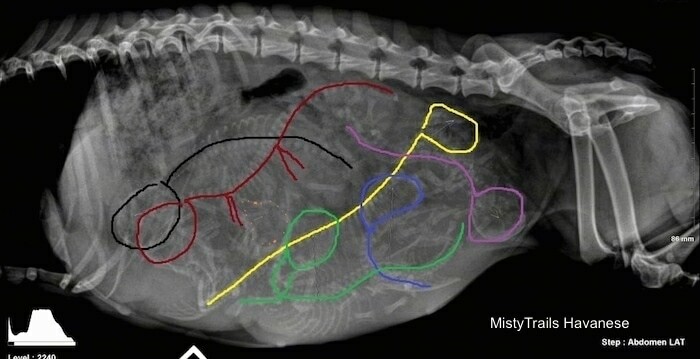 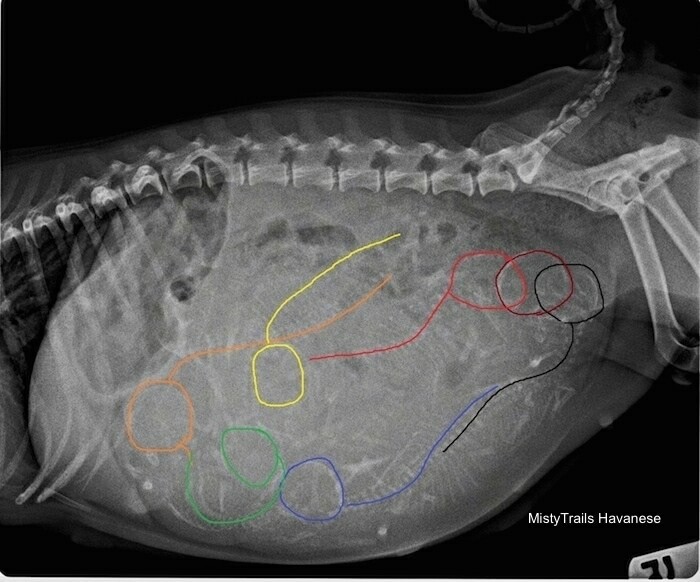 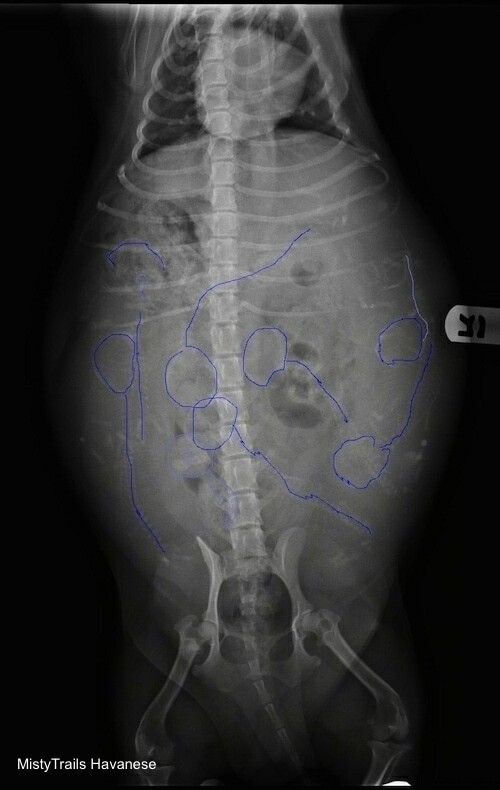 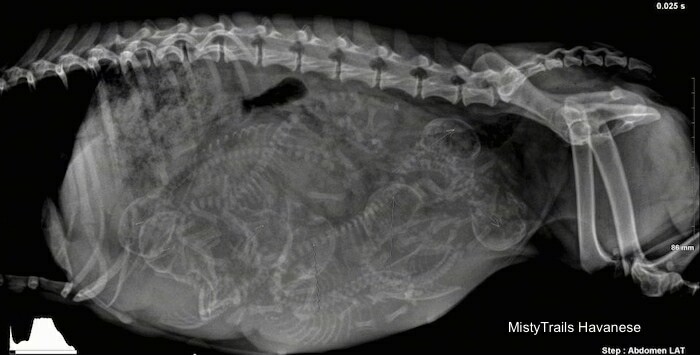 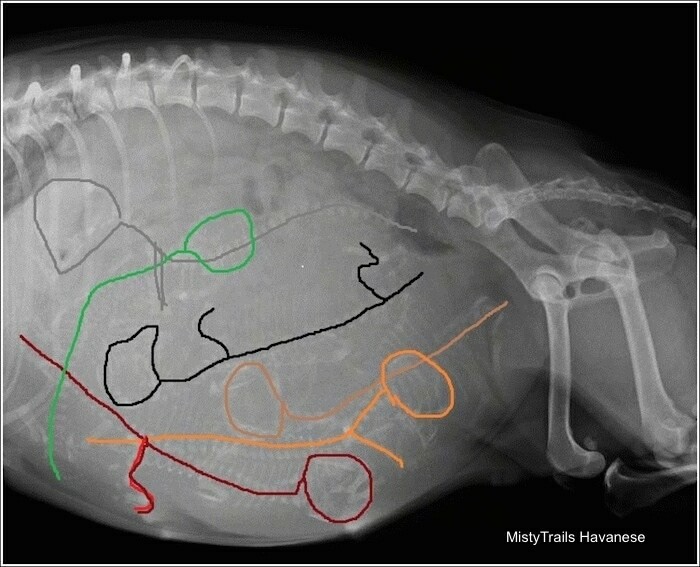 This x-ray shows an example of why it is important to have radiographs taken of a pregnant dam. This dam only has two puppies inside of her and as a result the puppies have grown very large because of all of the extra room. 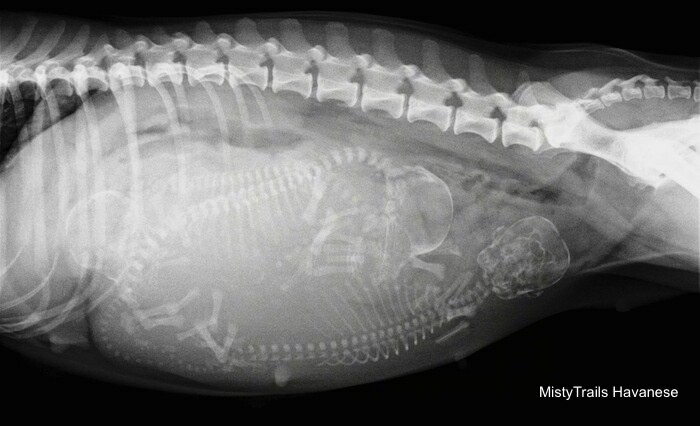 This dam will need a c-section to get the puppies out. 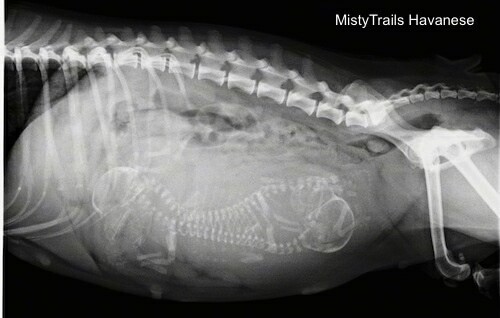 As soon as her temperature drops the vet will perform the procedure to ensure the safety of both the pups and the dam.